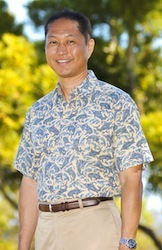 Mitchell S. Wong has been a lawyer in Hawaii since 1991, when he began his career at the law firm of David C. Schutter. At the time, the law firm was known as Schutter & Glickstein, and the focus of the law firm's practice was plaintiff's personal injury and business/civil litigation. In time, Mr. Wong became a partner at the law firm, which was then restyled as Schutter Dias Smith & Wong. Through the years, Mr. Wong's litigation practice has included a broad array of personal injury and civil claims, such as representing clients who were seriously injured in motor vehicle accidents, while on the premises of a commercial enterprise, or while using a defective product, as well as representing clients in wrongful death claims based on negligence. Mr. Wong also has litigated numerous claims for clients who suffered property damage due to the flooding of their homes, defective construction, or mold, or who have sustained damages in real estate transactions or in business disputes. In 2004 Mr. Wong started his present law firm. While Mr. Wong has continued his diverse work in personal injury and civil litigation, he has also expanded his practice to include family law matters, like divorce, child custody proceedings, paternity, Child Protective Services proceedings, and adoption. Briefed appeal in Ozaki v. AOAO Discovery Bay, which established new law regarding general damage claims for plaintiffs with respect to emotional distress and loss of enjoyment. Briefed appeal in Omori v. Jowa Hawaii, Inc., which established that an in utero fetus' claim is not barred by the Hawaii Worker's Compensation Statute. Briefed appeal in Montalvo v. City and County of Honolulu, which established new law regarding apportionment for a plaintiff’s pre-existing injuries. United States District Court for the District of Hawaii.